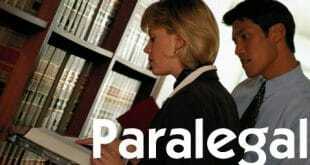 Becoming a paralegal requires the right training program in order to obtain the skills you need to work in this profession. 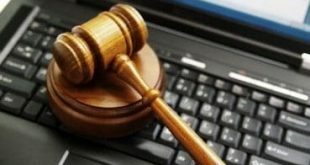 There are advantages and disadvantages to online paralegal programs, both of which should be carefully considered before making your decision. The biggest advantage to taking online courses is the fact that they generally have more flexibility when it comes to scheduling. Most courses allow you to log in at your leisure to complete assignments or participate in classroom discussions. As such, it can be much easier to pursue training if you are already working full time or raising children. You also have more schools to choose from, since you are not limited to only those in your geographic area. This could make it easier for you to pursue a Bachelor’s or even a Master’s degree rather than only an Associate’s degree or certificate program. Saving money on child care, eating out etc. Graduating from a program accredited by the American Bar Association increases the odds of finding suitable employment after graduation. There are few online programs accredited by the ABA due to the stringent requirements schools must meet, which include class size and instructor credentials. This means you may have a hard time finding a program that has ABA accreditation if you elect to take courses strictly online. Even so, there are some programs accredited by the ABA that allow students to take certain core classes online. One of these programs could be a better option if you desire an accredited diploma, but prefer to have as much flexibility in scheduling as possible. Many students believe that online paralegal classes can be taken strictly from home. That’s not always the case, as some online courses also require students to visit a law library or courthouse to complete certain assignments. This poses special problems for those who work during normal business hours, and wish to take online courses at night. Before enrolling in a program, be sure you know if visiting other resources is needed so you can plan accordingly. Students enrolled in online classes may not receive as much one-on-one interaction with the instructor as those taking campus-based courses. One-on-one interaction can be especially helpful when drafting legal documents or completing research projects, which is why you may prefer a traditional classroom setting if you have difficulty with those tasks. Many people have difficulty grasping basic legal concepts in the beginning. Learning new terminology and determining how case law works might seem overwhelming when starting your training. Even if you do choose online classes, you may want to take a few basic legal courses on a college campus first to ensure you have a good foundation to build upon. Some courses you should consider taking in person include introduction to legal studies, legal research, legal writing, and evidence. When choosing a program, you should also consider the quality of instruction and faculty credentials when making your decision. There are advantages and disadvantages to both online and campus-based training, and the right one will depend on a number of factors. For help in finding a training program that will best suit your needs, contact us. Next What are the Ways to Become a Pharmacy Technician?